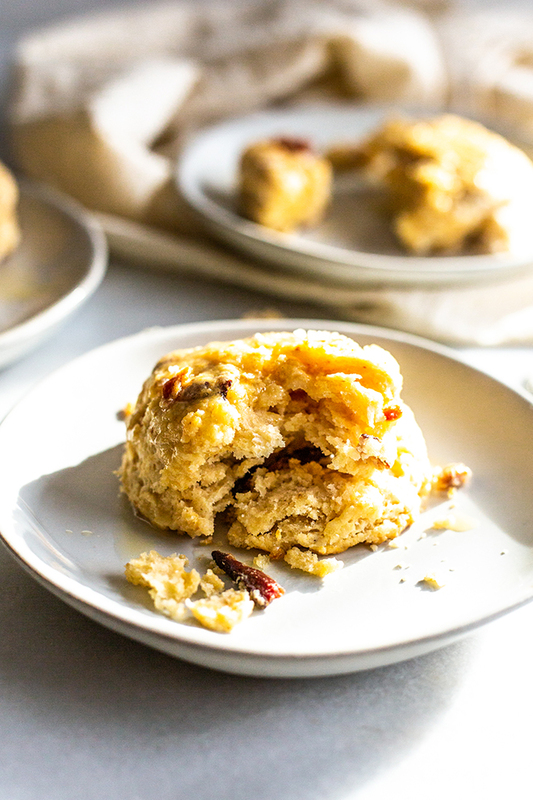 These Fluffy Bacon Buttermilk Biscuits with Maple Glaze will be the biscuits by your dinner plate. They’re flaky, sweet and nothing beats homemade. So, let’s get this one little thing straight. 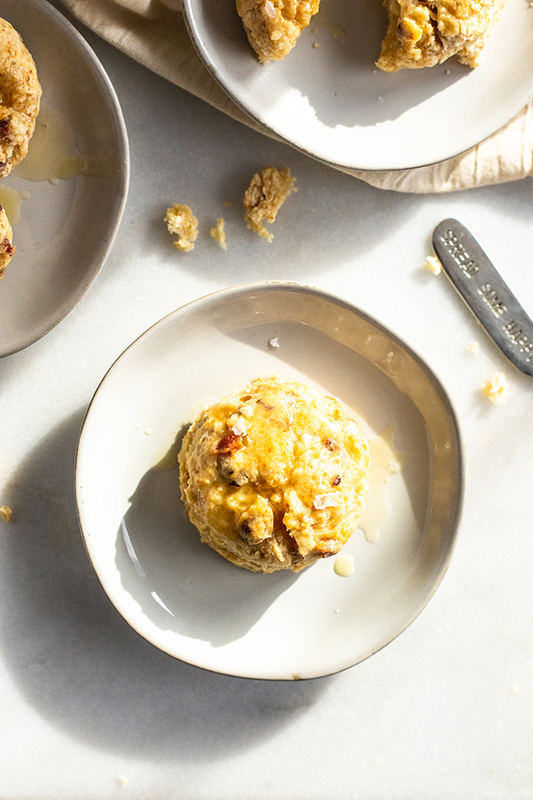 Yeah – I may be into health food, I may run outside in the cold for fun, I may have done a Whole30 but y’all – this girl can make a freaking biscuit. Do not underestimate me. I do not mess around where butter and flour are concerned. If you doubt me ask my pie crust. 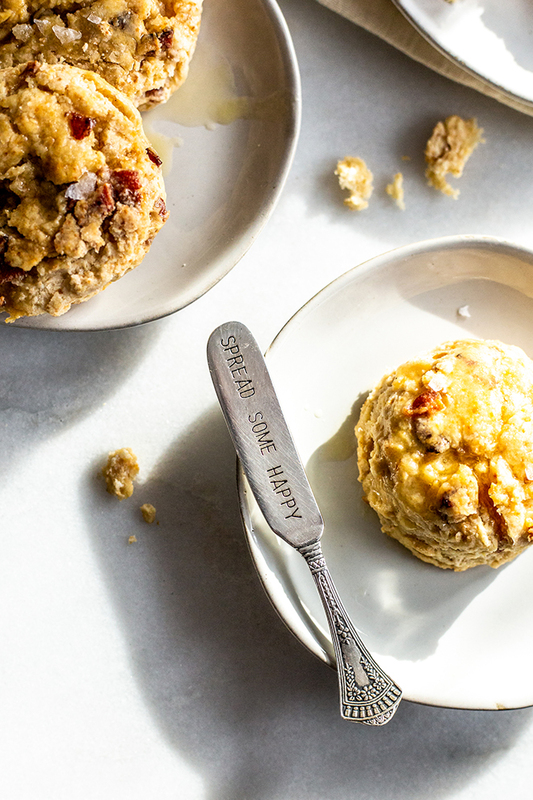 how cute is this knife – spread some happy! And if you really want my opinion, if you’re going to go all out and eat pie and biscuits, eat the real thing. Homemade, real deal, buttery, flakey, perfection. This isn’t hard to do. You just throw everything into a bowl and mix it together with your hands. Don’t forget to add some love in there, friends. This is what I call a heart recipe, because it’s from the bottom of my heart to yours. Brown in the bacon in a cast iron skillet. Remove it when crispy, drain on a paper towel and dice. Wipe the skillet out when it is cooler to remove some of the excess fat. 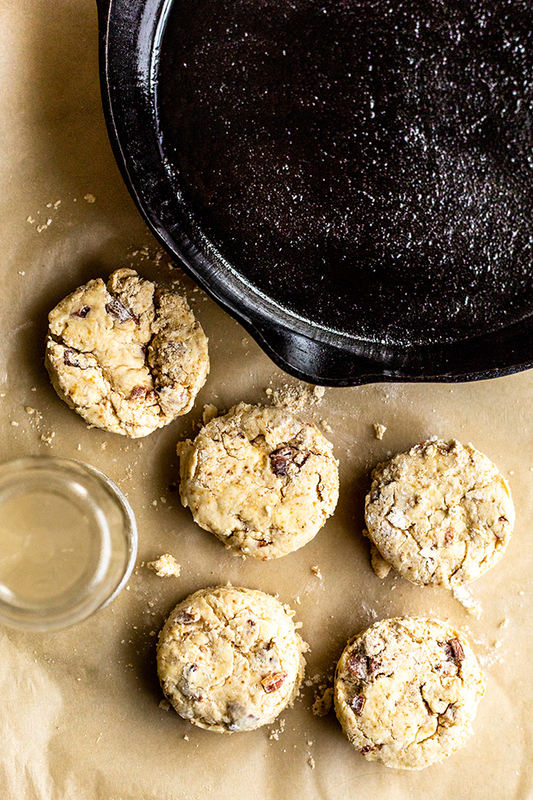 You’ll bake the biscuits in this skillet. 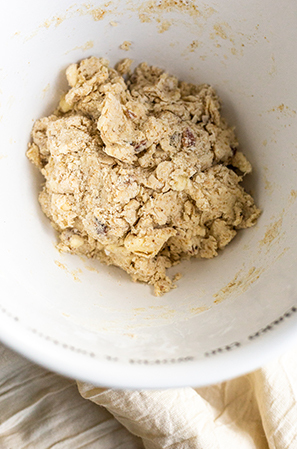 Add the flour, maple/brown sugar, baking powder, and salt to a bowl and whisk together. Add the cooked, diced bacon and 4 tablespoons of the butter. 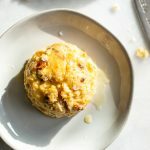 Work the bacon and butter into the dry mixture with your fingers, a fork, or a pastry cutter until pea-sized pieces are formed. Add the buttermilk and mix it into the dough until it loosely starts to pull together. 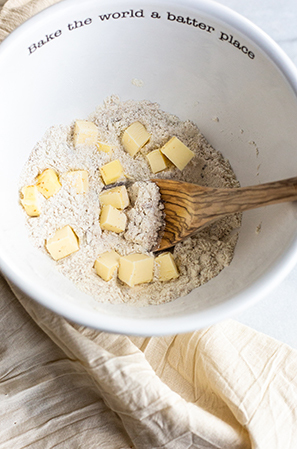 Add more buttermilk, a tablespoon at a time to pull it together. 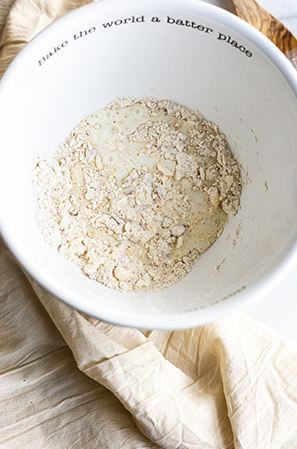 Turn the dough out onto a well-floured surface. 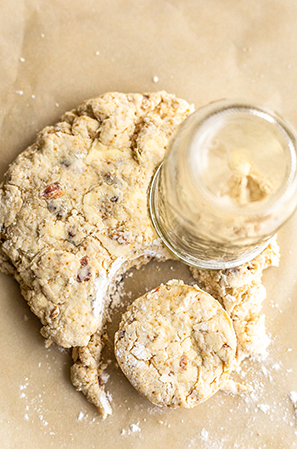 Using a biscuit cutter, or the rim side of a mason jar, cut out 5 biscuits in the dough and place them back in the skillet that you cooked the bacon in. Bake for 10-12 minutes or until the tops are just golden. Melt the remaining butter and mix with the maple syrup. Brush the tops of the biscuits and serve while hot. If you don’t have a cast iron skillet, cook the bacon in a pan and use the bacon grease to grease a baking sheet before baking. I’ve doubled and tripled these ratios. Feel free to adjust for your crowd!